Welcome to Bromans Metall AB. We manufacture & install aluminium and steel elements. We sell steel, aluminium & wood elements, glass furnishings, steel stairs & railings, and more. Bromans Metall is a company which makes and sells steel products such as staircases, railings,as well as paint, glass, tools and machinery. 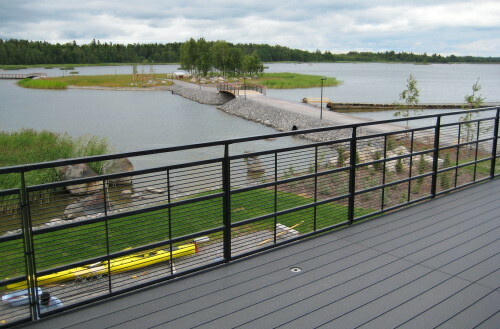 Most of our business is in construction projects for companies and individuals throughout Finland. We are also a subcontractor for manufacturers, including prototyping of machinery. Bromans Metall is based in Övermark, Närpes, Finland. You are welcome to contact us with any inquiries.